The Board of Directors is the governing body of the Autism Society of North Carolina. Our Board has always been a diverse, dedicated group of volunteers, many of whom are parents or family members of individuals with autism or self-advocates. Ruth Hurst is Director of Psychology at Central Regional Hospital. Formerly, she was on the psychology faculty at UNC-Wilmington, worked for the TEACCH Autism Program, and worked in an Iowa state-run residential facility for people with intellectual/developmental disabilities. 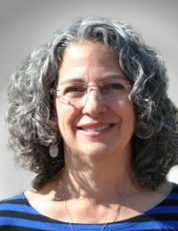 She has expertise in the fields of autism and Applied Behavior Analysis. She graduated from Catawba College and went on to earn her advanced degrees in psychology from Drake University and the UNC-Greensboro. Dr. Hurst has many professional memberships, including the NC Practice Improvement Collaborative, a project of the NC DMH/DD/SAS; the NC Psychological Association (NCPA), the NC Association for Behavior Analysis, and the American Psychological Association. Dr. Hurst was a founding member of the board for The Homestead, a residential and day program for adults with autism in Iowa, and was a member of the board for the Autism Society of Iowa. She has a strong personal and professional interest in serving people on the autism spectrum and their families. Dr. Hurst lives in Chapel Hill. Chris Whitfield is a Managing Director at GreerWalker, a CPA firm based in Charlotte, and oversees their Outsourced Accounting Solutions practice. Mr. Whitfield also serves as the Finance Director for MANA Nutritive Aid Products, a nonprofit organization that produces ready-to-use therapeutic foods for the treatment of acutely malnourished children throughout the world. With several relatives on the autism spectrum, Mr. Whitfield has seen firsthand its impact on families and appreciates the opportunity to support the Autism Society of North Carolina’s mission in serving those families. Mr. Whitfield and his wife live in Charlotte, where they raised their two sons and daughter. Steven Jones is an attorney who has been General Counsel of Clintrax Global, a service provider in the drug development industry, since 2013. He has been an advocate for local and statewide policies to strength special-education opportunities, particularly for children with Autism Spectrum Disorder, in North Carolina public schools. Mr. Jones lives in Chapel Hill with his wife, daughter, and son, who is on the autism spectrum, and three large dogs. Mark Gosnell is the Senior Director of Client Service for RGP Consulting in Charlotte. Mr. Gosnell joined RGP in 2002 and is one of the practice leaders of the Charlotte office. Prior to joining RGP, he was a Director at PwC Consulting (PricewaterhouseCoopers) and a Senior Consultant with Accenture. He is a lifelong resident of North Carolina and a Davidson College graduate. Mr. Gosnell and his wife have three children, the oldest of whom is a healthy and happy young man with autism. He hopes to leverage this experience to encourage families with their own unique journeys with autism. Elizabeth Phillippi has a bachelor’s degree in Business Administration from Emory University. She worked in the banking and auditing fields for many years before leaving the workforce to dedicate more time to her family and the business owned by her husband. Mrs. Phillippi has served as a member of the Advisory Parent Panel for Learners with Exceptionalities, the Advisory Board to the Superintendent of the Charlotte/Mecklenburg School System, and the Advisory Board for Camp Boomerang, and as treasurer of the ASNC Mecklenburg County Chapter. She lives in Charlotte and has an adult son with autism. Stephanie Dorko Austin has worked with Attorney General Josh Stein since 2015 and has her own company, Stephanie Austin & Associates, Inc. She began her career working for former White House Chief of Staff Erskine Bowles both times he ran for U.S. Senate (2002 and 2004). Ms. Austin has since worked as a fundraiser for numerous statewide campaigns including State Treasurer Richard Moore, N.C. Senate Majority Leader Martin Nesbitt, Gov. Bev Perdue, State Treasurer Janet Cowell, and Gov. Roy Cooper. Her nonprofit experience includes serving as Vice President of Government Affairs for the Charlotte Chamber of Commerce and Development Director at the Council for Entrepreneurial Development and the NC Advocates for Justice. 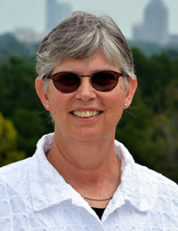 Ms. Austin is a native of Greensboro and a Phi Beta Kappa graduate of Trinity College in Washington, D.C. She and her husband, Will, live in Raleigh with their daughter and rescue dog. Doug Brown previously served on the Board of Directors of the ASNC Guilford County Chapter for three years and as an autism advocate with another local autism nonprofit organization in Greensboro. 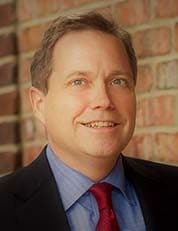 He obtained his Bachelor of Business Administration from Campbell University in 1996 and his Master of Science in Accountancy from UNC-Wilmington in 1997. He has 19 years of experience in public accounting and also served three years as Chief Financial Officer for a Greensboro company. Mr. Brown lives with his wife and two children in Brown Summit. His desire to help the autism community comes from having a child on the autism spectrum. His goals are to raise awareness in the community about autism and to help the parents, children, and adults on the spectrum experience life to the fullest extent possible. Rob Christian is a Chapel Hill native and a graduate of the UNC School of Medicine and the Brown University Triple Board Program (general pediatrics, adult psychiatry, and child and adolescent psychiatry). He is also board certified in those three areas. Since 2009, Dr. Christian has worked clinically almost exclusively with children and adults with intellectual/developmental disabilities, including autism, at The Carolina Institute for Developmental Disabilities (CIDD) at UNC School of Medicine, where he is appointed in pediatrics and psychiatry. Dr. Christian is also Associate Director of the NC Leadership Education in Neurodevelopmental and related Disorders (LEND) program at CIDD/UNC School of Medicine. He has a special interest in IDD services and policy related issues and has collaborated with ASNC in an array of advocacy and other efforts. Dr. Christian has served on the ASNC state human rights committee since fall 2016. He lives in Chapel Hill with his wife, Jenny, and his two children. Latonya Croney earned her Bachelor of Science degree in Business Administration from UNC-Chapel Hill in 1994 and began her career in the banking industry with BB&T, serving as a Retail Services Officer and as a Project Manager. After discovering her love for training, Ms. Croney transitioned to BB&T University as a Retail Credit Instructor and worked her way up to Senior Credit Instructor. In 2005, she became a Deposit Portfolio Administrator and served as the strategic leader and main deposits contact for her assigned regions in the community banking network. Currently, Ms. Croney is the Bank Card Services Solutions Delivery Manager. Her team is responsible for increasing the effectiveness of branch associates delivering relevant retail and small business card solutions. Ms. Croney lives in Raleigh, where she is active with the local chapter of the Pancreatic Cancer Action Network; a longtime member of her church choir and Financial Peace ministry; and a Gallup Certified Strengths Coach. She enjoys traveling and spending time with her nephews (who are both on the spectrum) and godchildren. Ron Howrigon is the President and CEO of Fulcrum Strategies, a company he founded in 2004. He has been very active in advocating for children with special needs. In 2010, Mr. Howrigon joined the Board of Directors for the Mariposa School in Cary. He also served on the Board of Directors for the Miracle League of the Triangle from 2014 through 2016. Mr. Howrigon lives in Apex with his wife and three children, the oldest of whom is on the spectrum. When asked about having a child on the spectrum, he describes it as the hardest and best thing he will ever do with his life. Craig Seman is the general manager of the Cadillac Craft Center, a third-generation business that reproduces and restores parts and equipment for the automobile industry. Mr. Seman holds a BSBA in Economics from UNC-Chapel Hill and an MBA from UNC-Charlotte. An alumnus of both the Charlotte and Chapel Hill TEACCH programs, Mr. Seman has been active in the spectrum community as a program coordinator, Meetup organizer, and host of numerous events in the Charlotte area centering on outreach to young adults. 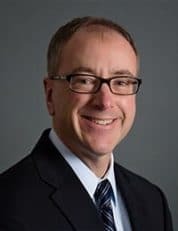 Mr. Seman has also held leadership positions in numerous civic and community organizations and joined the ASNC board in 2018. Mr. Seman lives in Charlotte and has family members both on the spectrum and as professionals serving the community. Scott Taylor has been a Territory Support Manager with Southeast Industrial Equipment since 2015. For the past eight years, he has advocated for autism issues on the federal and state level. In 2011, Mr. Taylor served as a Community Representative to the ASNC Board of Directors. From 2012 to 2015, he served on the Board of Directors for Alliance Behavioral Health, a managed-care organization established to manage federal, state, and local funds to provide services for mental health, substance abuse, and intellectual/developmental disorders. During that time, he served on the Human Rights Committee, which he chaired in 2014 and 2015. Mr. Taylor lives in Garner with his wife and three sons, two of whom are on the autism spectrum. Dana Williams is an Executive Customer Representative with Merck & Company, Inc. She has expertise in the pharmaceutical industry and current market trends affecting health care. Ms. Williams earned a BS in Finance at UNC Greensboro and then worked in the banking industry with First Citizens Bank. She returned to UNC Greensboro to earn her MBA. After completing her MBA in 2005, Ms. Williams began working for Merck and Company, Inc. Ms. Williams is passionate about increasing autism awareness in underserved and minority communities and has been involved with ASNC workshops to increase inclusion of individuals with autism in faith communities. She is married and the mother of twin boys on the autism spectrum. Ms. Williams lives in Fayetteville. 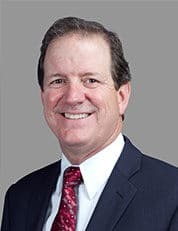 Jeff Woodlief is the President of Premiere Communications and Consulting in Raleigh, which provides structured cabling systems and unified communications to blue chip clients throughout the Southeastern US. He has been with the company since its founding in 1993. He earned a bachelor’s in Business Administration from East Carolina University. Premiere has been an active supporter of ASNC for several years, through both donations and volunteer efforts. Mr. Woodlief serves on the Board to give back to the community and hopes that by serving, he is able to make a contribution that will help make someone’s life better. Mr. Woodlief lives in Raleigh with his wife and 16-year-old twin boys.